Aqui teneis otra Europortunidad para piraros durante 8 meses al extranjero, en concreto Letonia, desde el 1 de Febrero hasta el 1 de Octubre de 2013. Aunque el proyecto comience en Febrero recordad que es ahora cuando teneis que solicitar el puesto. El proyecto es en un centro de agregación que recibe cada dia la visita de jovenes y menos jovenes con diferentes dificultades sociales, ofreciendoles actividades de ocio y la posibilidad de participar en proyectos europeos. Podeis leer mas aqui abajo. Stopiņu municipality is located near to Riga (capital city of Latvia), the territory is 53,5km2 and it consists of nine small villages where live 10185 inhabitants. Our society is very different with minorities, young people with limited opportunities, and people with different social obstacles. We have kindergartens, schools, active sport and culture life and active NON profit organizations as well. For inhabitants of all ages we have lifelong learning possibilities in four day centers which are located in different villages. Day Center “Saurieši” is one of them, which is visited by children, youngsters and adults who spend here their free time and realize lifelong learning through different activities. It consists of two workers, one the director and administrator. There is one computer room, one game room, one seminar room and one worker room. Day center working time in school time period (September – May) is from Tuesday till Friday from 12:00 – 20:00 and Saturday from 10:00 – 18:00, so volunteer needs to be ready to work in Saturday. In June and August working time is from Monday till Friday from 10:00 – 18:00. July is vocation month, for volunteer as well. Main language in our work is Russian language, so volunteer will need to learn Russian language. Day center target group is people of all age, so volunteer has to be ready to work with children, young people, adults and older people as well. Volunteer needs to be ready to visit schools, different organizations and another day centers in Stopiņi district during this period. Stopiņi district has youth specialist, who is taking care of youth activities in day centers, volunteer will also need to help him and plan activities together. Volunteer will live and work in Saurieši village, which consists of living houses, three small shops, library, primary school, football and volleyball play grounds. Another villages of Stopiņi are not so far, for example, Cekule, Upeslejas, Līči and Ulbroka(which is center of Stopiņi municipality). It is possible to get to the capital city Riga (40 min) by public transport (approximately one bus per hour). Everyday life volunteer will spend in day center – participating in different day center activities – theater play, artistic workshops, sport day, outdoor activities, organizing different sport competitions, playing table games, helping children and youngsters with home works, etc. 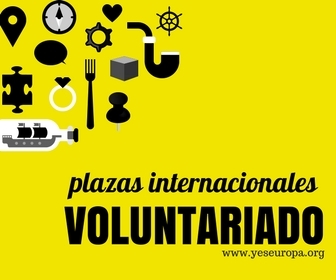 Volunteer can offer language courses and our organization is interested to accept volunteer initiative. Volunteer will need to be ready to tell about his/her country – intercultural evenings, country presentations at schools and another day centers. Volunteer will also has to work together with Stopiņi Youth specialist and help him to organize youth work in Stopiņu district (youth meetings, youth day, non formal seminars, etc.). We can also offer volunteer a possibility to learn and to write project in EU program “Youth in Action” and participate in project realization. There are different learning oppottunities for volunteer, but they depend on volunteer interests. Volunteer can learn how to are organise day center life, get different knowleadge about workshop and also learn how to organise them, get know how to organise youth work in Latvia, get knowleadge about EU programme “Youth in action”, and project writing. The role of the volunteer will be to help to realise our activities that we are offering for society of Stopiņi, tell about voluntary work experience in other countries, represent his/her country, present his/her own idea for society. Last Minute!! 1 plaza SVE para un proyecto en LETONIA- SALIDA 1 DE MAYO!